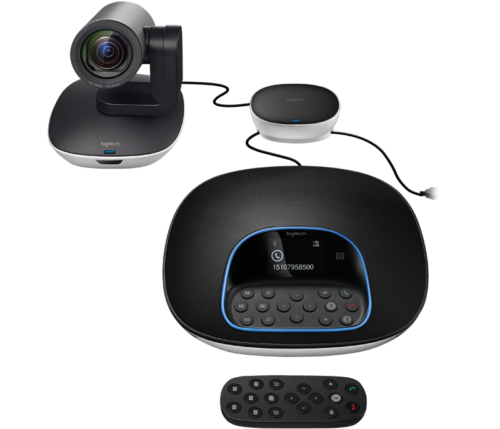 Logitech GROUP Video Conferencing System, the affordable video conferencing system for mid to large size conference rooms, allows any meeting place to be a video collaboration space. It’s as simple to use as a mobile phone and affordable as an office chair, now it’s easier than ever to include anyone in the conversation.USB connectivity makes GROUP a breeze to deploy and use. It even works within your own familiar computing environment with any Logitech video conference system software application including the ones you already use.Razor sharp video and a beautifully designed speakerphone deliver an outstanding collaboration experience that’s so awesome everyone can seen and heard.Simply connect a laptop and start a meeting,or use the speakerphone with a Bluetooth wireless technology enabled mobile device for sounding audio calls. 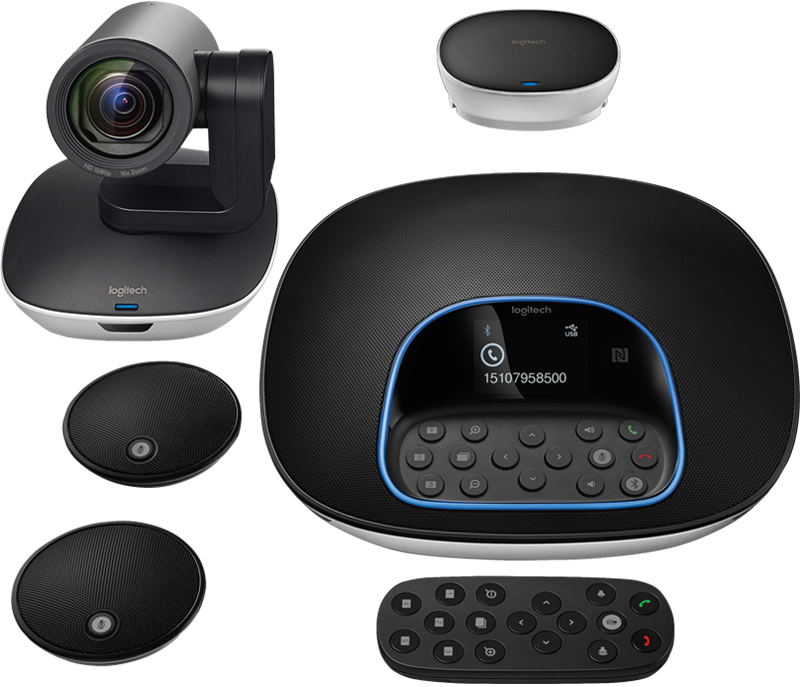 Logitech video conference system offers the flexibility to customize conference room setup with multiple camera mounting options. Use the camera on the table or mount it on the wall with included hardware. The bottom of the camera is designed with a standard tripod thread for added versatility.Conference participants can also clearly converse within a 6 m/20’ diameter around the base, or extend the range to 8.5 m/28’ with optional expansion mics. Brings full HD video to conference calls,enabling expressions, nonverbal cues and movements to be seen clearly.Preserves PC processing and battery power by putting video processing within the camera adjusting dynamically to the available bitstream. The result is a smoother video stream in applications Skype for Business and in Windows 8 and Windows 10.The generously wide field of view and silky smooth pan and tilt controls enhance collaboration by making it easy to see everyone in the room. Hear sound that’s crisp,clear, and highly intelligible,Plus the cast metal base console is loaded with advanced audio features and intuitive controls.Conference participants can converse within a 6 m/20’ diameter around the speakerphone and heard so clearly by remote participants that it seems like conversations are happening in the same room.Expand the conversation area from 6 m/20’ to 8.5 m/28’ so that even those away from the speakerphone can clearly heard. It can record the conference calls Microphones,sold in pairs, are automatically recognized and configured by simply plugging them into the GROUP speakerphone. Logitech Group conference system can connect a PC or Mac to conduct meetings within the user’s own familiar computing environment.Connect the speakerphone to a Bluetooth wireless technology enabled device for great sounding audio calls, or pair NFC enabled mobile devices by simply bringing them close together. Leading business certifications Skype for Business, Cisco Jabber and WebEx and enhanced integration with Logitech Collaboration Program members ensure an integrated experience with most business grade video conferencing platforms.